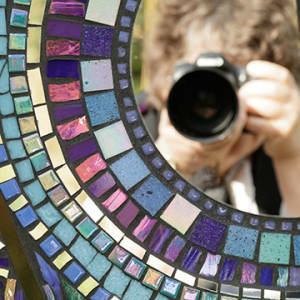 I headed over to RHS Wisley to see a holographic exhibition, by Rob Munday. The 3D images were fantastic and fascinating to view (but totally non-photogenic due to their 3D nature and position!). I spent the rest of the day wandering round the gardens in their winter clothing, but never the less full of colour and life. 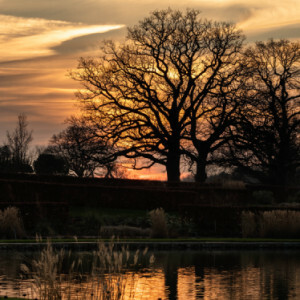 I managed a glimpse (and poor photo) of the Kingfisher by the bird hide, and caught another wonderful sunset over the glasshouse and lake (extra). 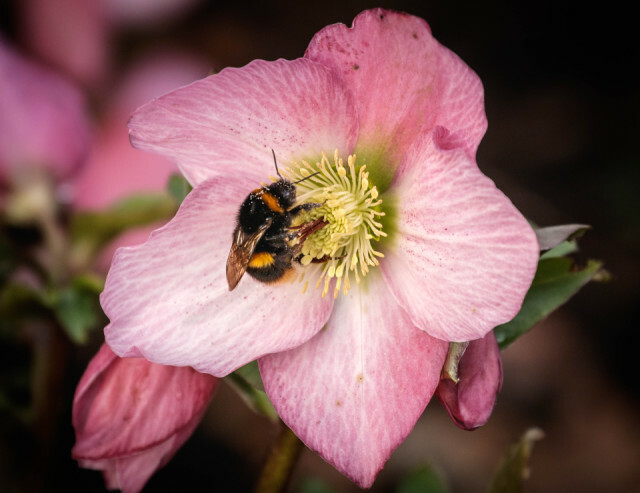 However seeing as it is Flower Friday, and BikerBear continues to challenge us, I just had to go with this Hellebore as my main image, complete with a bee enjoying an early season feast.